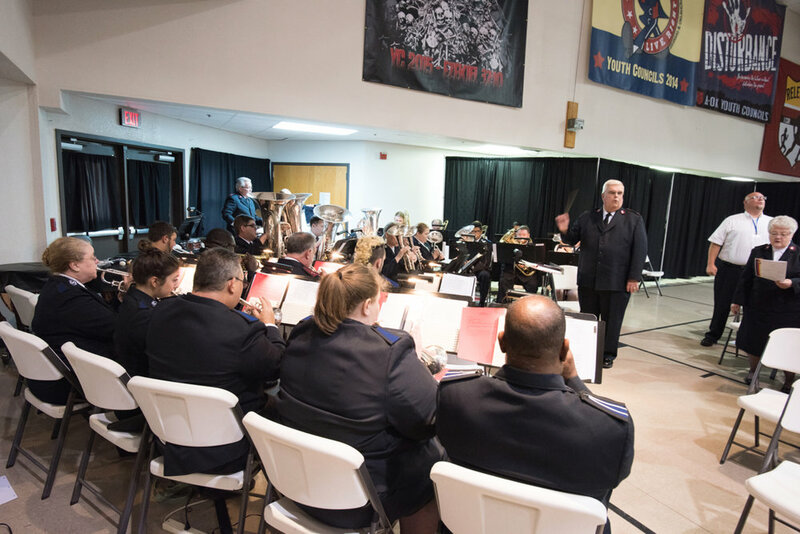 The Arkansas/Oklahoma Divisional Band is the premier performing ensemble of the division. 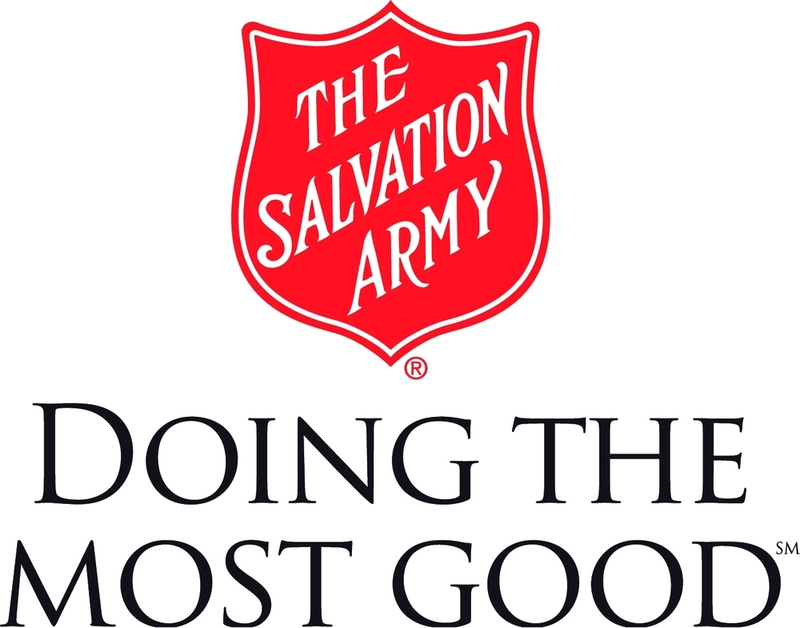 It is comprised of musicians who exemplify the personal, spiritual, and musical qualities that a Salvation Army Bandsman is expected to have. 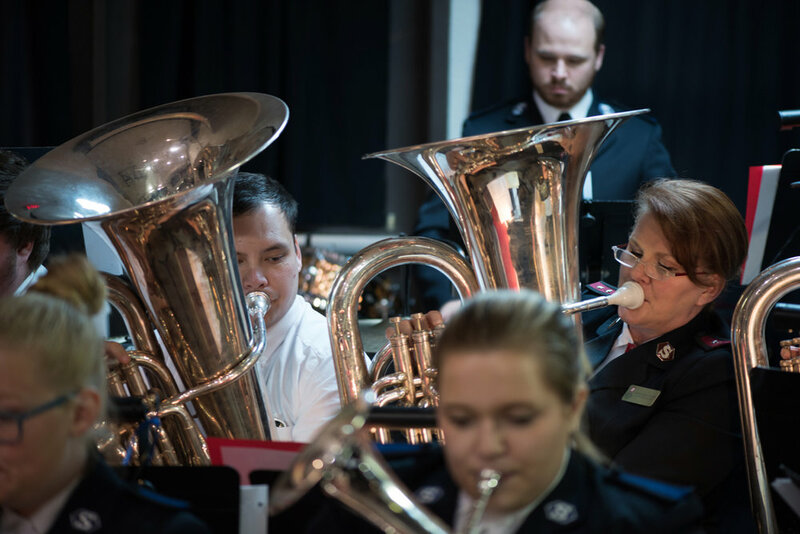 The band is under the leadership of Bandmaster Andrew Barrington. 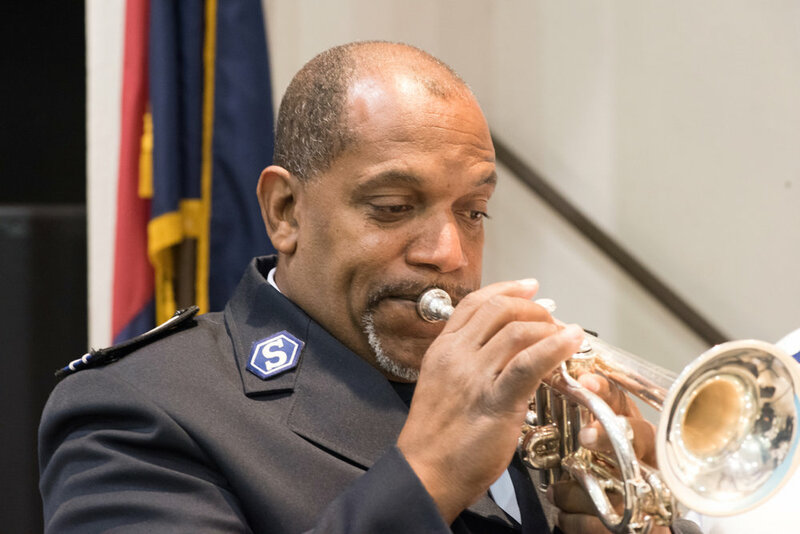 The Divisional Band has a wide variety of repertoire. 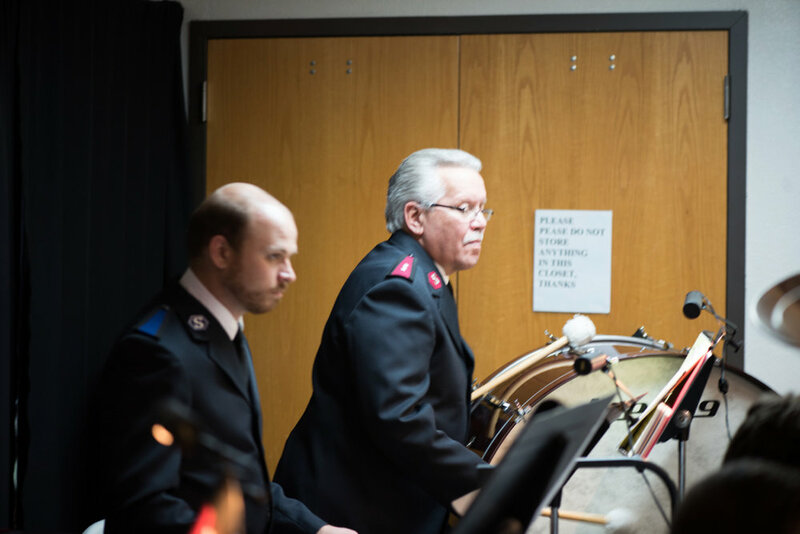 Playing everything from hymn tunes arrangements to major works, they are at home in worship services, concerts, and special events. 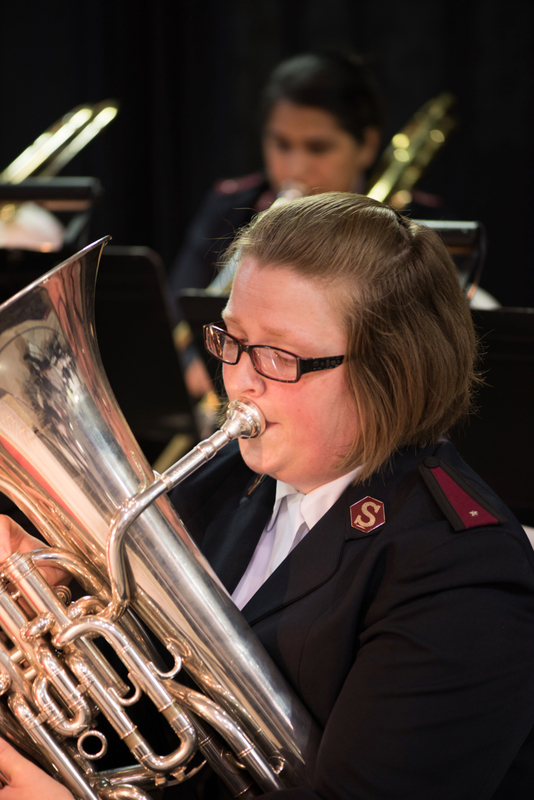 Please contact the AOK Music Department if you are interested using the Divisional Band for your event or worship service. Jeff Robbins and Kade Goforth play an amazing duet entitled "Quicksilver" by Peter Graham. Saturday evening. Twin Lakes Baptist Church Concert. Friday evening. Music on the Square. Emily Robbins, Valerie Goforth, and Billy McClure. Troy Mitchell leads "You Are Good" with the praise band. DMD Andy Barrington leads the band. Major Tony Barrington Brings the message, entitled "The Peace that Jesus Brings"
Lt. Claudia Roseno reads scripture. The band playing during worship.